Transit planners call it a “crush load,” but commuters know it as a typical rush hour on BART. With ridership levels at record highs, the agency is getting creative (or desperate) with space management aboard packed trains. Starting today, BART will remove seats from 20 of its cars to accommodate more passengers. Per Hoodline, seven double seats in each car will be replaced with single seats. Four of the newly roomy cars will launch on each of the agency's five lines. 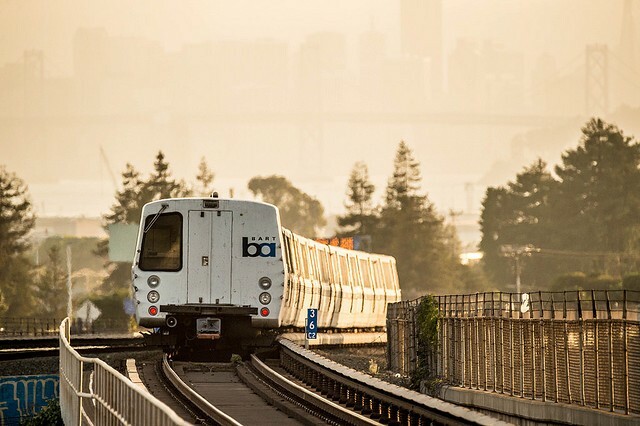 Last year, the Chronicle reported that weekday ridership on BART averages 100,000 - 420,000 more than five years ago, although BART has struggled to keep pace with the explosive growth. Each car seats about 60 people, with room for another 47 people standing. That’s 107 people total. During peak hours, though, trains can carry 140 people or more, leaving precious little breathing room for passengers (especially those who refuse to take off their backpacks or who are wheeling luggage the size of taco carts). At maximum capacity, BART cars can hold a “crush load” of 200 people, according to the Chronicle — beyond which we start to verge into clown car territory. Pulling out seats probably won’t endear BART to many passengers, and could just mean even more people cramming into already tight quarters, but it’s a stopgap measure until the agency begins rolling out its new fleet later this year.